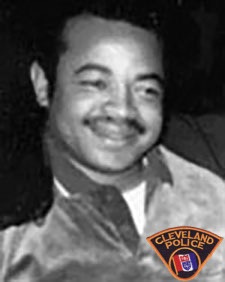 Two days after Christmas, on December 27, 1996, at 11:10 in the evening, Cleveland Police Patrol Officer Edward Claybrooks was working his part-time job providing security for Romitos pizza, 18412 St. Clair Avenue. Officer Claybrooks was seated in his personal vehicle observing the outside of the restaurant when he observed a vehicle pull into the parking lot and park illegally in front of the pizza shop. The occupant sat in his vehicle for several minutes. Officer Claybrooks approached the vehicle and advised the occupant that he could not park there. The vehicle occupant became very hostile and exited his vehicle and confronted Officer Claybrooks to the point where a violent struggle ensued. When Officer Claybrooks was able to break away from the suspect, he entered the pizza shop and called for assistance. The suspect fled east on St. Clair Avenue. in his truck. When back up officers arrived on scene to assist, they observed Officer Claybrooks in a state of disheveled appearance and short of breath. Officer Claybrooks gave a description of the suspect, including his license plate numbers to the zone car officers who had responded, and they left to search for the suspect. Within a few minutes of their departure the zone car officers heard a second call of “officer needs assistance” at the St. Clair Avenue address where they had talked with Officer Claybrooks. The zone car returned to the scene and found Officer Claybrooks in full cardiac arrest and being treated by fire and EMS personnel. Officer Claybrooks was taken to Meridia Euclid General Hospital where additional attempts to revive him failed. The suspect was later located, arrested and charged in connection with the death of Officer Claybrooks. 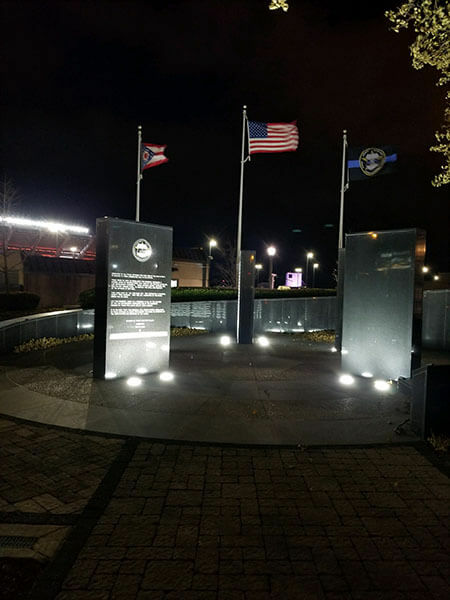 Edward Claybrooks’s name is inscribed on the National Law Enforcement Officers Memorial Wall in Washington D.C. Panel 55, E-20.